An exhibit at a Massachusetts museum is exploring Asia's influence on Dutch arts and culture in the 17th century. Brightly colored cottons, ornate lacquered treasures and intriguing spices - all the rage in Amsterdam in the 1600s - are now on display at the Peabody Essex Museum in Salem. "'Asia in Amsterdam' is an exhibition that explores the transformative power that Asia had on The Netherlands in the 17th century, the art in The Nethlerands and culture in The Netherlands," said Karina Corrigan, H.A. Crosby Forbes curator of Asian export art. Corrigan spent years working on this impressive exhibition in partnership with the Rijksmuseum in Amsterdam. "Together we've been able to create an exhibition that tells a very complex and fascinating story," Corrigan said. That story centers on the Dutch East India Company (Verenigde Oostindische Compagnie or VOC), the world's first corporation. The VOC's monopoly on trade in Asia had a huge impact on life in the Netherlands during this period. 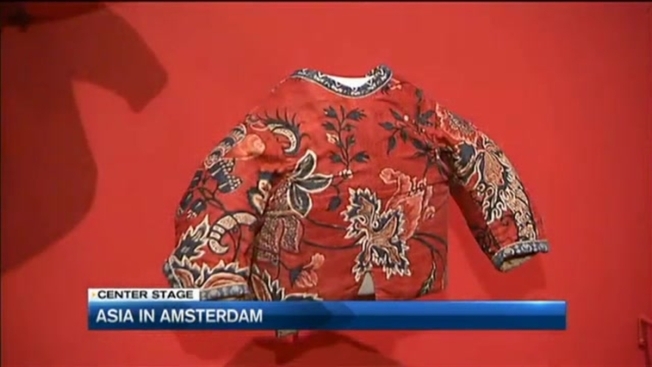 "Much of what we're exploring in the exhibition are the extraordinary works of art that were coming back from Asia in Dutch homes and life, really transforming people's houses and wardrobes," Corrigan told necn. The exhibition features 200 works of art including paintings depicting the Asian influence, silk robes in bright colors never before seen in Europe, even porcelain vases on loan from Queen Elizabeth. It's a once-in-a-lifetime chance to see these pieces in a single room. "This is a wonderful opportunity to explore an incredibly rich and interesting period of history through glorious works of art," said Corrigan. You have just a few more weeks to see it all in person. "Asia in Amsterdam" is on exhibit at the Peabody Essex Museum until Sunday, June 5.